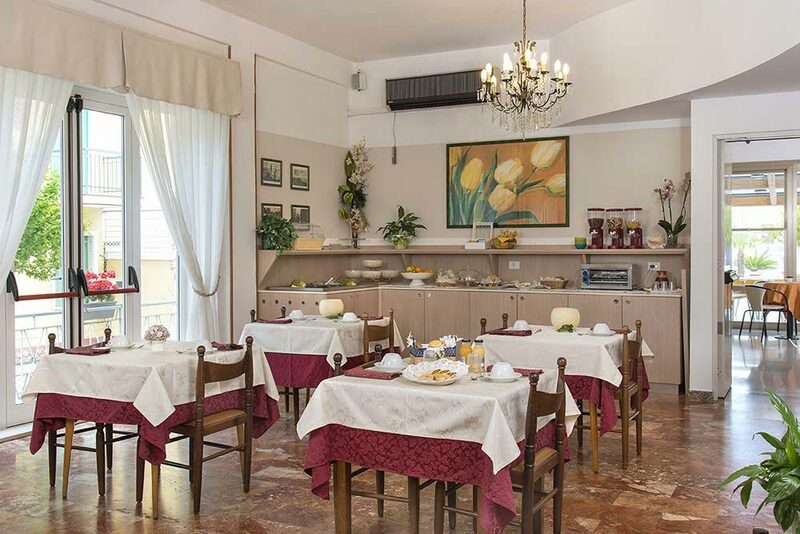 Our restaurant is one of the most beloved places in our hotel in Igea Marina. 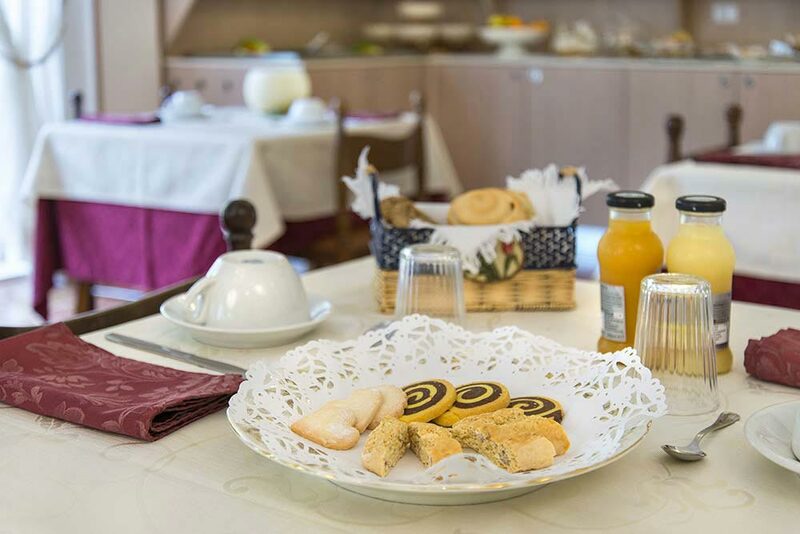 You will find the same attention to detail that characterizes all our services also at the table, staged in a well-kept and air-conditioned room. 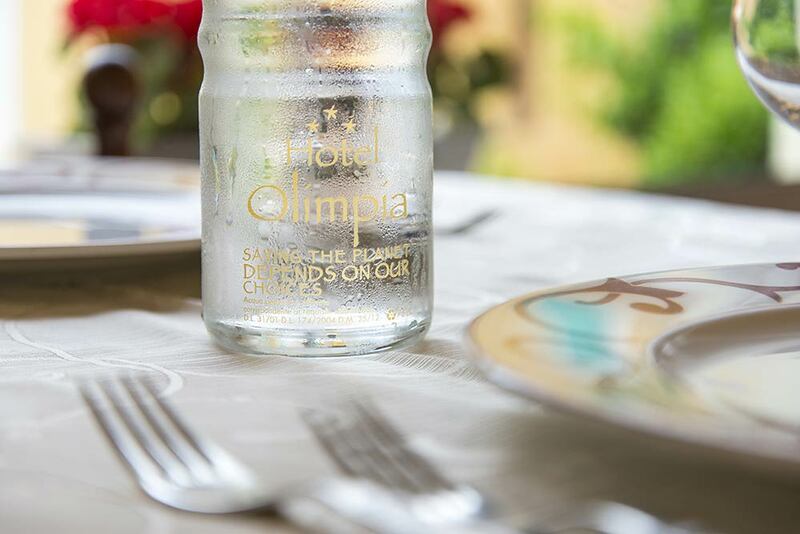 The high quality of raw ingredients is our main priority: forget the microwave and let the cooks of Hotel Olimpia delight your taste buds! 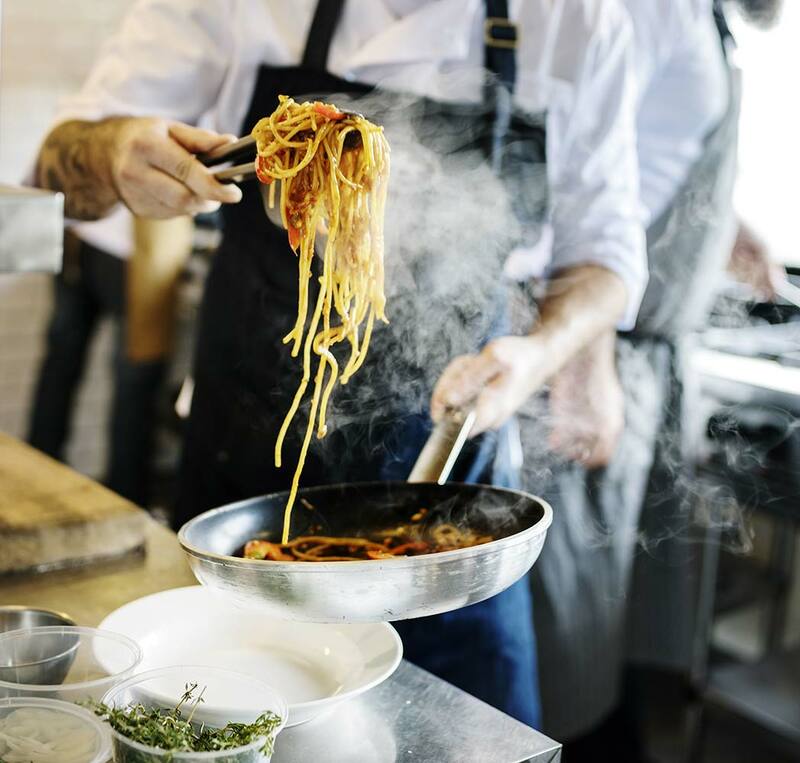 Every day you can choose between 3-first courses and 3-second courses for lunch and dinner and enhance your dish with offers from the buffet of raw and cooked vegetables, delicious appetizers and fresh fruits. Not to mention the generous breakfast, sweet and savoury with homemade cakes and sweets every day, and cappuccino and coffee from the bar, directly served at your table. We are sensitive to special diets and food intolerances: specify your needs and we will try to make you feel right at home. Highchairs, baby cutlery and placemats are always on the table for the little ones! Every day we are ready to prepare vegetable broth and puree for babies' that are being weaned.